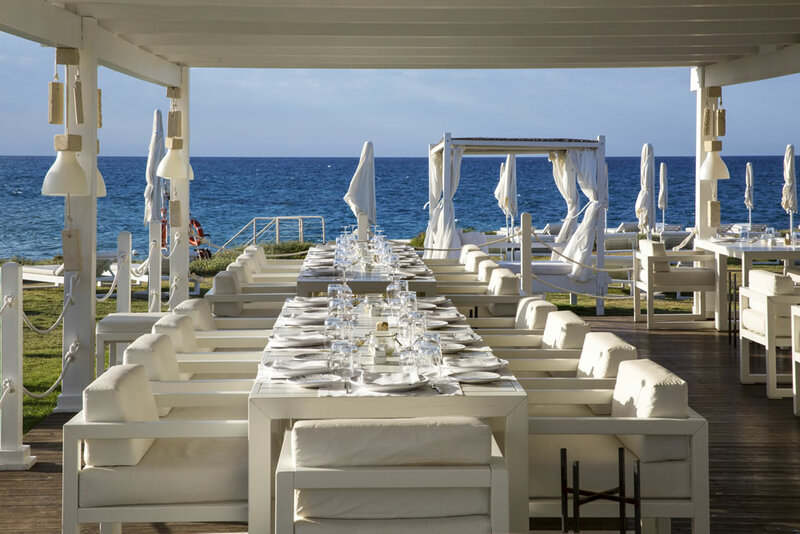 Borgo Egnazia is a large 5-star resort which is bordered by the beach of Savelletri, the 18 hole golf course of Masseria San Domenico and the surrounding olive groves. 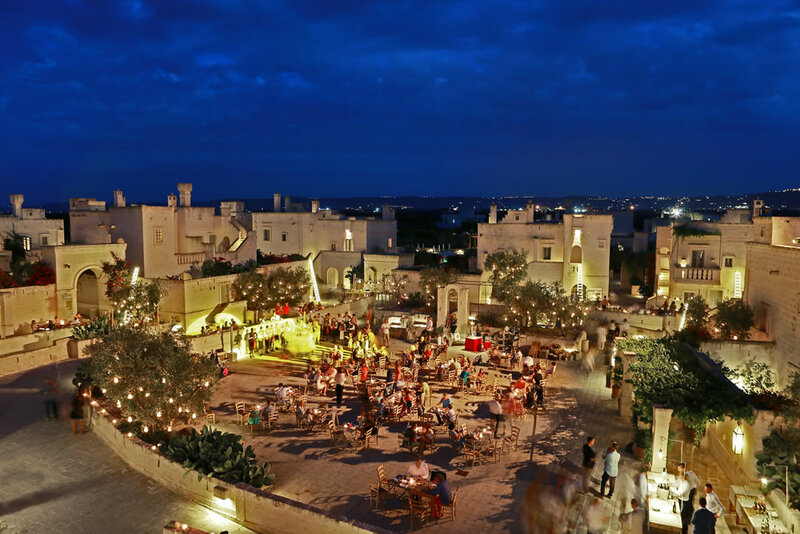 Its name derives from the nearby archaeological site Egnazia. 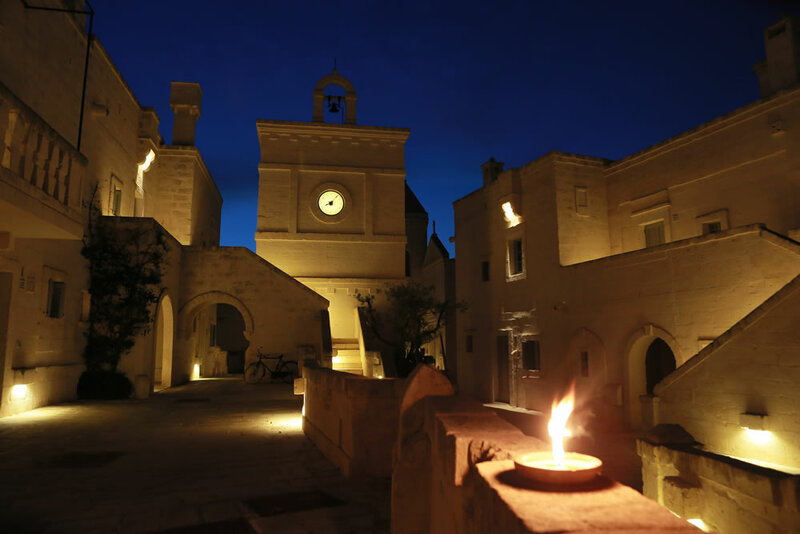 The resort includes hotel rooms, villas and a village called Borgo and built according to the Apulian tradition with dry stone walls and typical houses. Borgo Egnazia is the perfect location for business trips and conferences with its 3,800 sqm of event space (800 sqm indoor and 3,000 sqm outdoor - including covered open air event spaces), 24-hour business center with computers and secretarial services upon request, translation and interpretation service, wired or wireless Internet access in guest rooms and meeting rooms, modern technology and event presentation services. 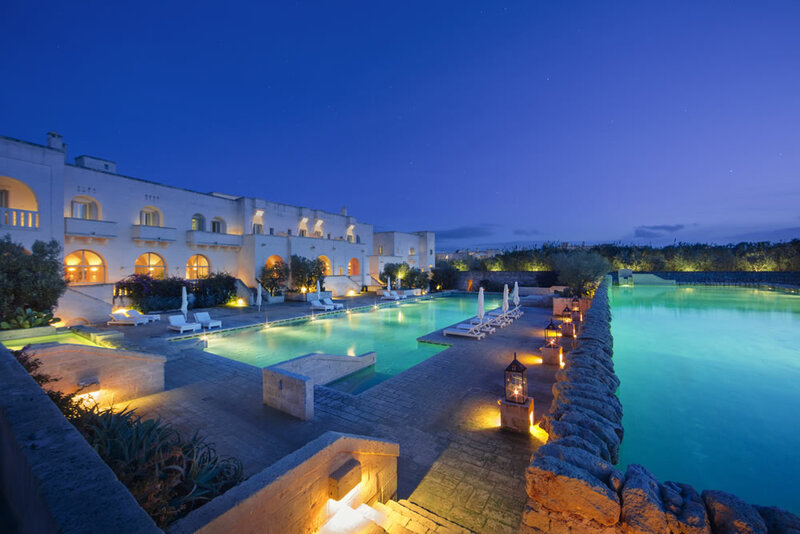 But Borgo Egnazia is much more as it also offers: a wellness centre of approximately 1,800 sqm with 14 treatment rooms and Roman baths; 3 restaurants, 1 pizzeria, 1 children´s restaurant, a hotel bar and 2 poolside bars, a cooking school; gardens and entertainment area, 3 outdoor swimming pools and 1 indoor; gym; kids club and activities for kids; reading room, billiard room and cigar lounge; beach clubs and 3 tennis courts. 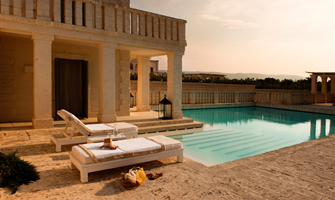 Borgo Egnazia has a hotel with 63 rooms, 28 villas and a village (borgo) with 92 traditional houses, rooms and suites. 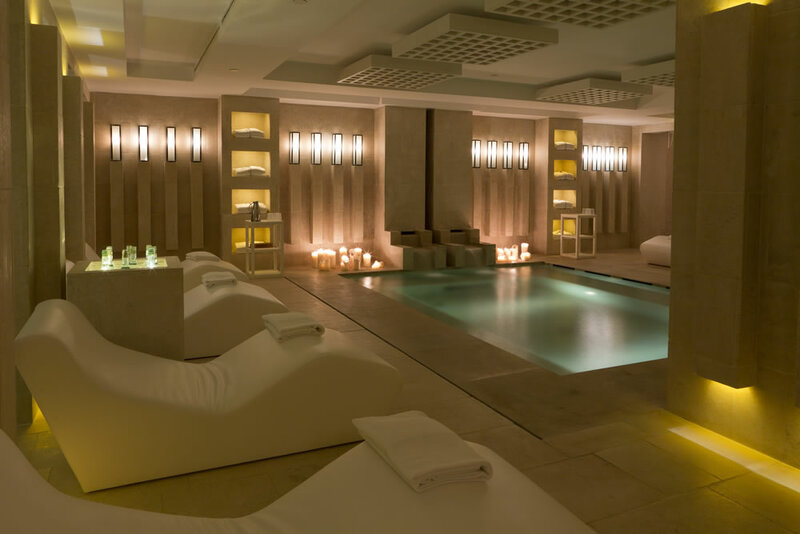 The central building is the hotel and it´s called La Corte: the rooms are divided into deluxe (La Corte Bella, 33-37 sqm), superior (La Corte Splendida, 42-46 sqm), grand suites with living area and bedroom (La Corte Magnifica, 60-75 sqm) and the top suite, Egnazia Suite (125 sqm). Each room is equipped with stone bathroom with tub and shower, cordless phone, minibar, safe, Wi-Fi, LCD TV, entertainment system with I-pod and USB connection, audio streaming in the bathroom connected to the TV, lanterns and candles for a warm and welcoming atmosphere. 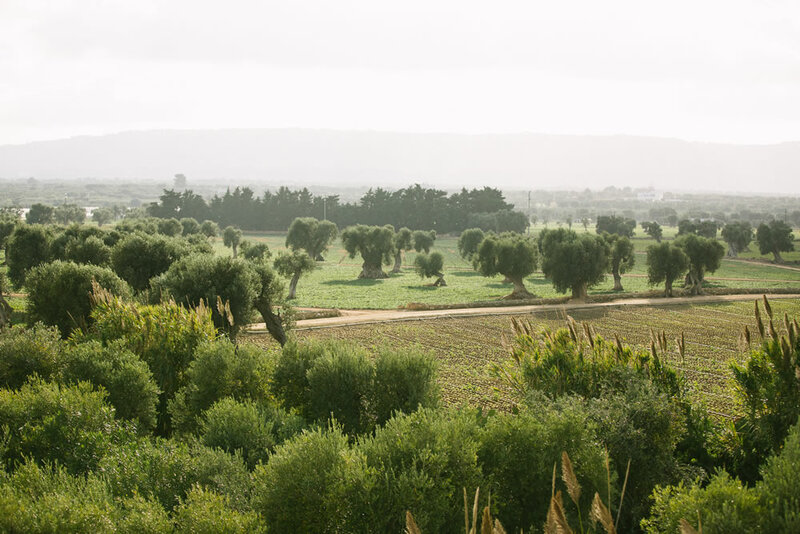 Finally balconies and terraces offer breathtaking views over the sea and the olive groves. 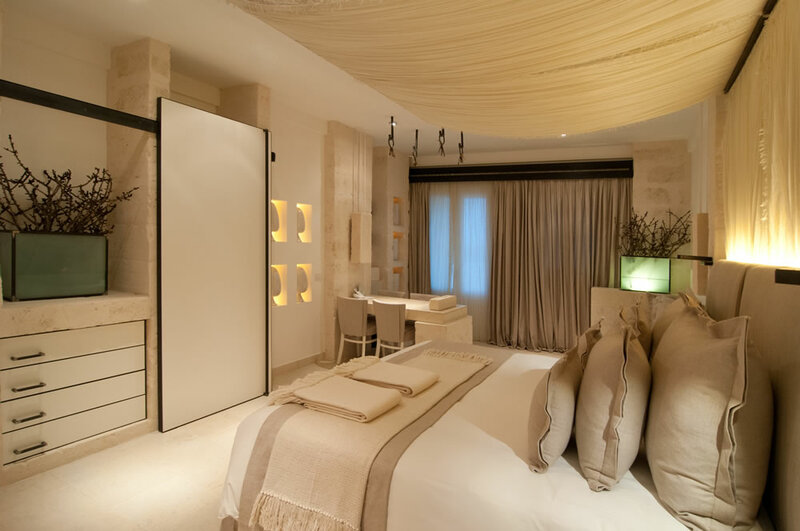 The Egnazia Suite consists of two bathrooms and three rooms: large ensuite bedroom with walk-in closet, vanity area, central bath and double shower; relaxation area with stone fireplace; living room with bar corner, dining table, sofa and bathroom. 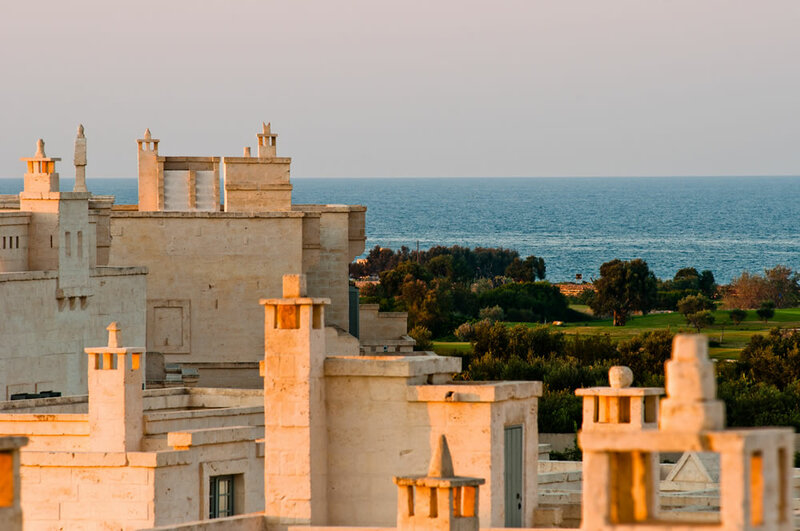 In addition, the Egnazia Suite offers two terraces and a private garden with swimming pool, outdoor shower, dining table and sitting area. 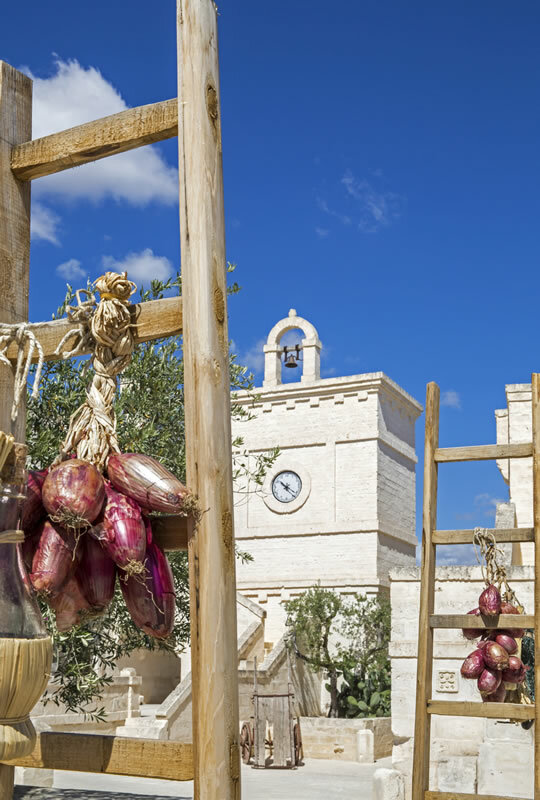 The Borgo is a village as the Apulian traditional old towns, with houses, shops, clock tower and the central square which is the setting for events, markets and festivals. All townhouses are ensuite and have a private garden or they develop on two levels with living area and bedrooms; they are divided into Borgo Splendida (42 sqm), Borgo Magnifica (55 sqm), Casetta Bella (60 sqm), Casetta Splendida (90 sqm ) and Casetta Magnifica (90 sqm). Each house includes stone bathroom, 3 telephones, safe, minibar, LCD TV with video and music on demand, bluetooth, cable and wireless internet, audio streaming in the bathroom connected to the TV. 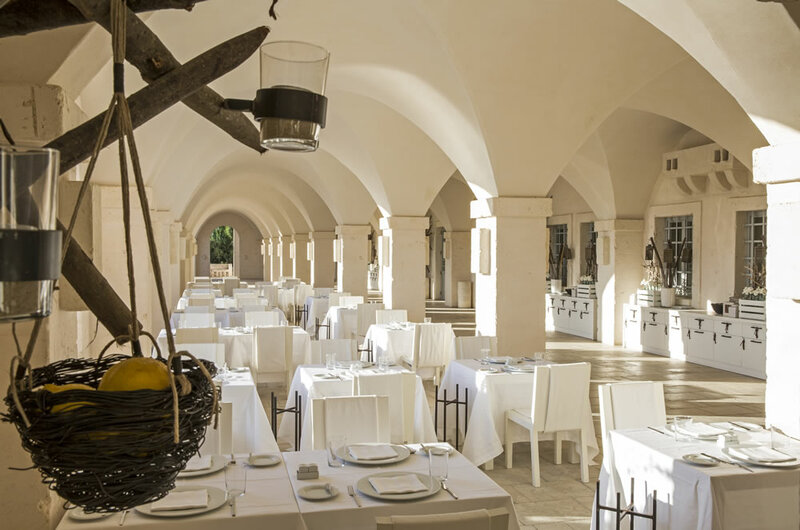 The Borgo Splendida room can be on the ground floor or the first floor and it offers respectively private garden or roof terrace. 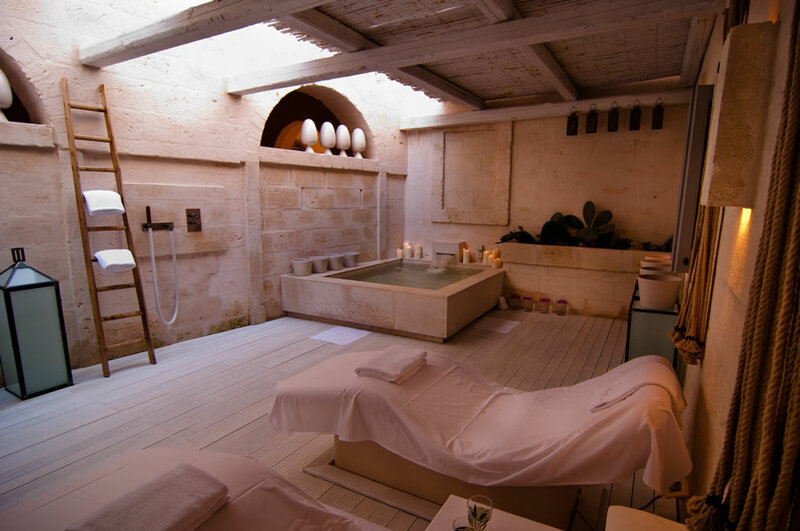 The Borgo Magnifica room, with balconies and roof terrace, is divided into sleeping area with a four poster bed and living area. The Casette houses consist of two floors and they include a kitchenette with fridge, microwave, kettle and coffee machine (Illy coffee), balconies, roof terrace and private garden. The Casetta Splendida and Casetta Magnifica have an extra room, so they can accommodate up to 4 people. 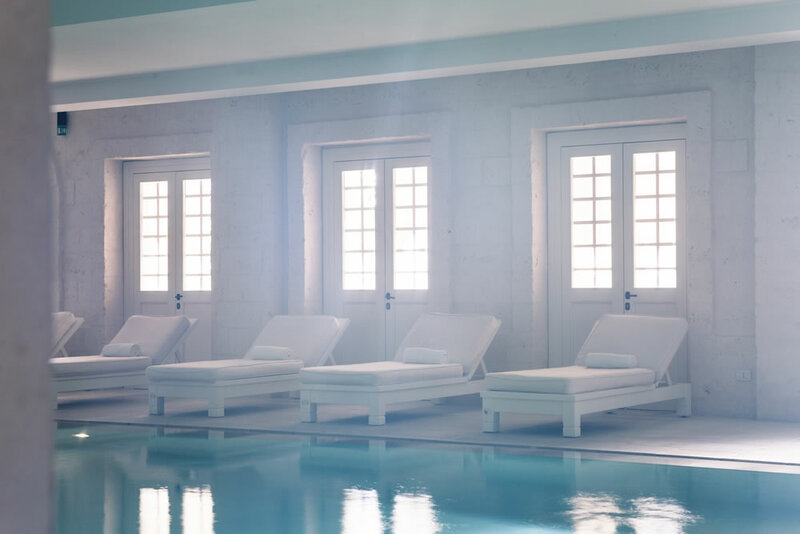 The villas differ especially in the pool size: 5m x 2.5m in Villa Giardino, 8m x 3m in the Villa Giardino Mediterraneo and Villa Giardino Pugliese, 10m x 3.40m in Villa Splendida, 15m x 7m in Villa Magnifica. 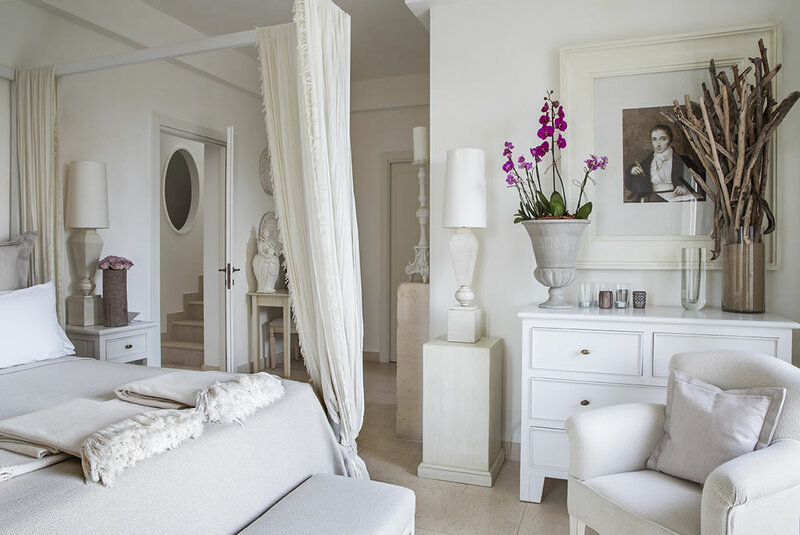 A touchstone for our premium accommodation, the Villa Bella is a refined three-storey house in rough limestone, composed of a master bedroom and two further bedrooms, each with an adjacent bathroom, plus a private studio, two living areas and a live-in kitchen with a big dining table. 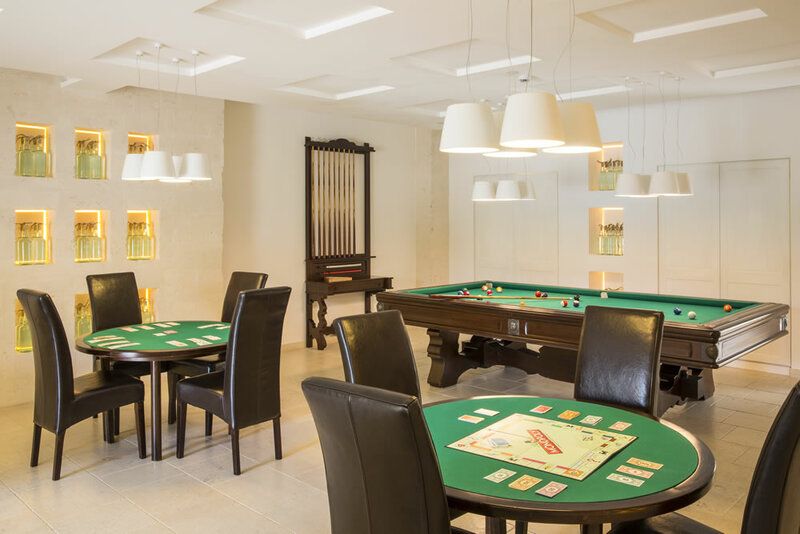 Elegantly furnished and equipped with all comforts, it is surrounded by a thriving private garden with a shady patio and a pool ensuring the best chill-out times. Staying at the Villa Bella also means enjoying the company of a dedicated Local Adviser ready to help you with tips and suggestions about the local area. Ideal for families of 4 looking for extra space and groups of friends. 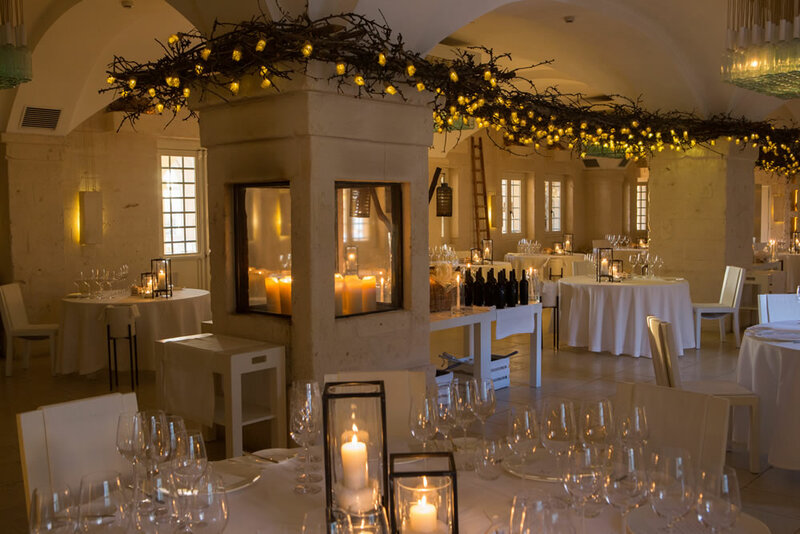 Rustic yet elegant in style, the Villa Meravigliosa is a grand three-storey house, enveloped by a 1000 m2 garden, spread onto over two levels and featuring a 150 m2 pool, a patio and a gazebo for moments of pure relaxation. 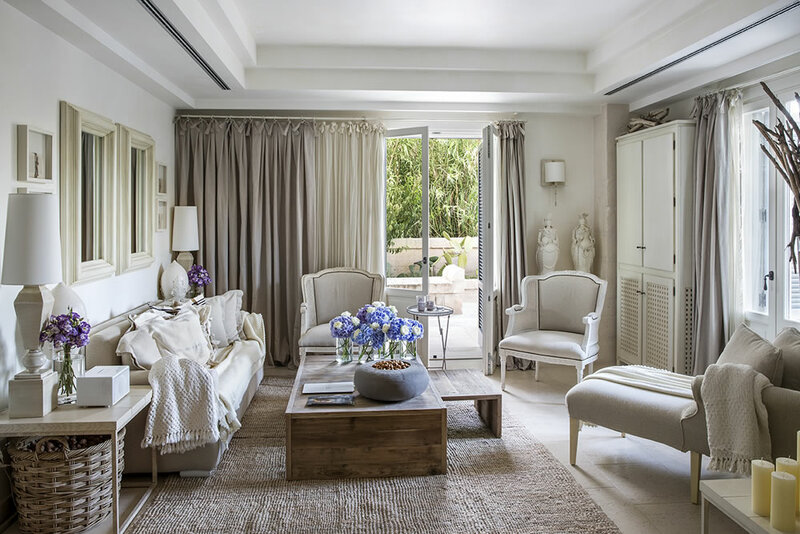 Inside, the Villa Meravigliosa ensures an unforgettable and comfortable stay through a fully-equipped kitchen, two living areas on two separate floors, three bedrooms each boasting an adjoining bathroom and a convertible studio. The terraces are equipped with stone comfortable seating area for a nice sunset apéritif overlooking the amazing countryside. 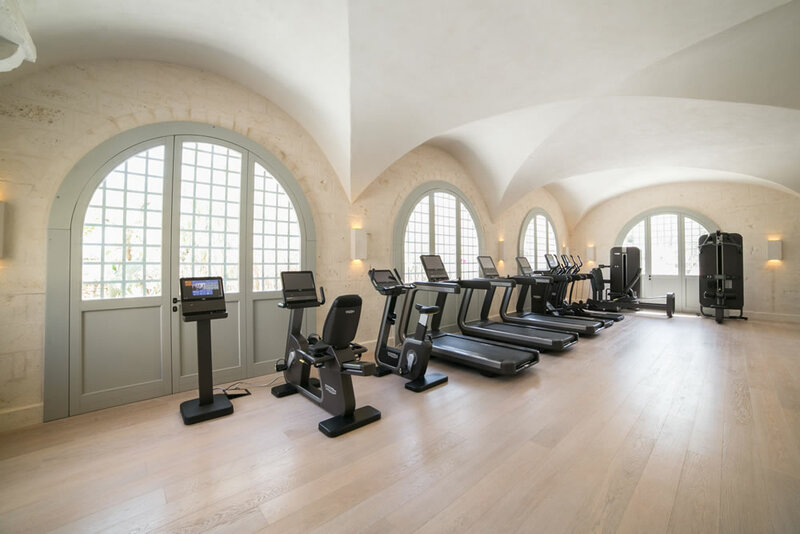 The Villa also provides a number of complimentary services, such as an appointed Local Adviser, two heart-warming dedicated “massaie”, a compact car, a golf cart and a fleet of bicycles available to you for your whole stay. 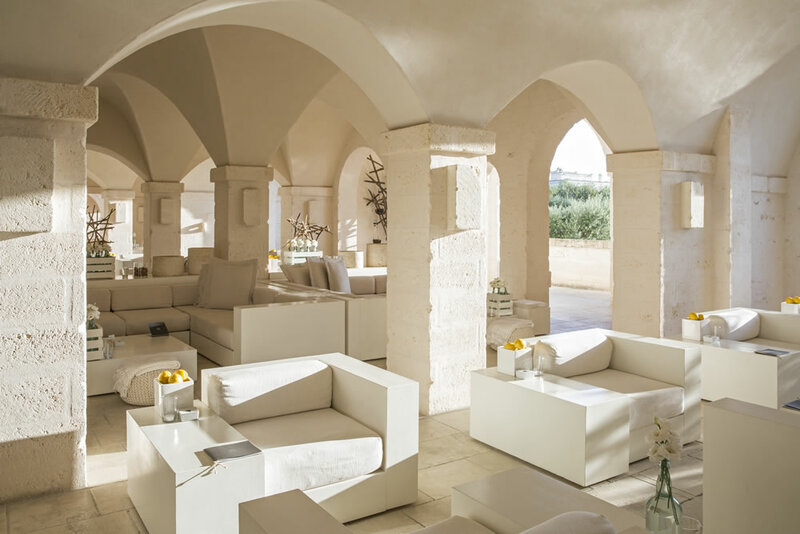 Within Borgo Egnazia there are 29 independent villas, elegant interpretation of the local burghers’ houses of the nineteenth century, each constructed with an amazing rooftop terrace and a spacious garden with private pool: an oasis of relaxation and absolute comfort, immersed in ancient olive trees and a few steps away from the sea. Standing above the others: The Owner’s Villa. The Owner’s Villa spreads over 500 square meters. 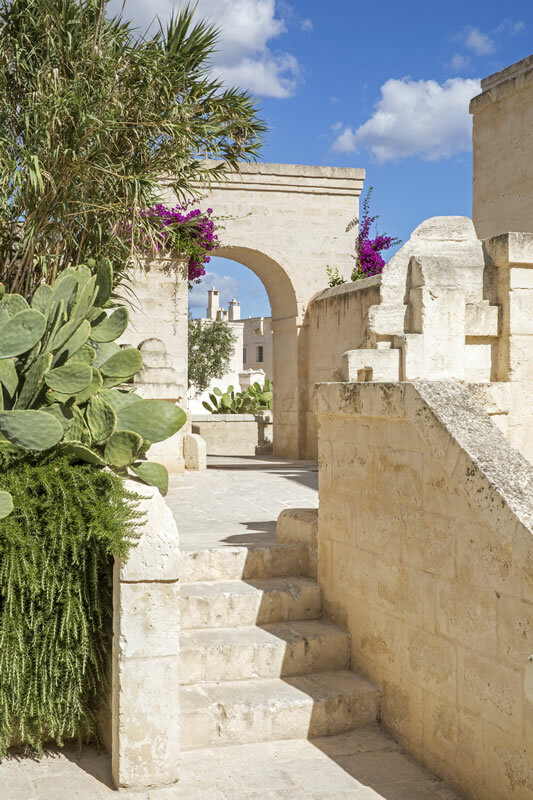 The large garden is mesmerizing for its silence and the scent of the Mediterranean with olive, rosemary, jasmine, lemon and prickly pear trees. 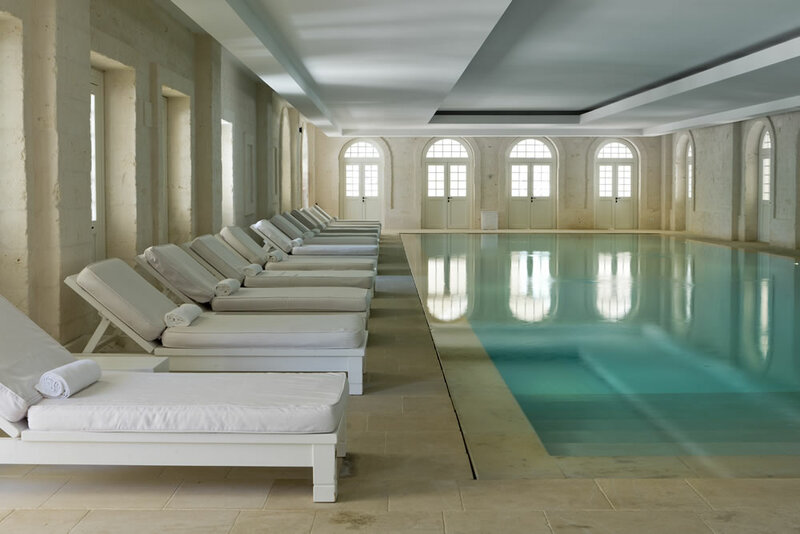 The very generously sized pool, 27 meters long, is an impressive feature. Guests at the Owner’s Villa enjoy the exclusive service of three people: a full time massaia, the butler and personal local adviser. 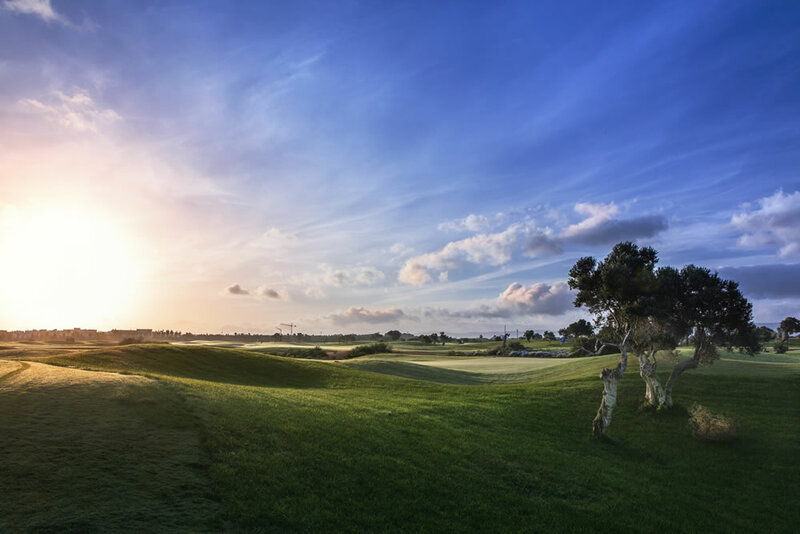 Between the sea and the countryside, the Owner’s Villa benefits from the architectural style of old burghers’ houses with a fantastic view of the Adriatic Sea, the hills of the Valle d’Itria and the adjacent San Domenico Golf course. The Owner’ Villa is set on three floors with seven bedrooms, each one with its en-suite bathroom. The decorative choices are based on a timeless classic taste atuned to the spirit of the place between nature and tradition, with chromatic nuances based on the neutral tonality of the heart. Ground floor: a fully-equipped kitchen (with washer-dryer); the living room characterized by the symmetry of the libraries with sofas, chaise longue and an audio system with iPod dock, that separates the surroundings from the adjacent dining room (which, if necessary, can be closed by a sliding door) with an imposing stone fireplace and a large arched window overlooking the garden; a studio decorated with Grottaglie ceramics and fabric paintings of a local craftsman and a bathroom made of Ostuni stone. 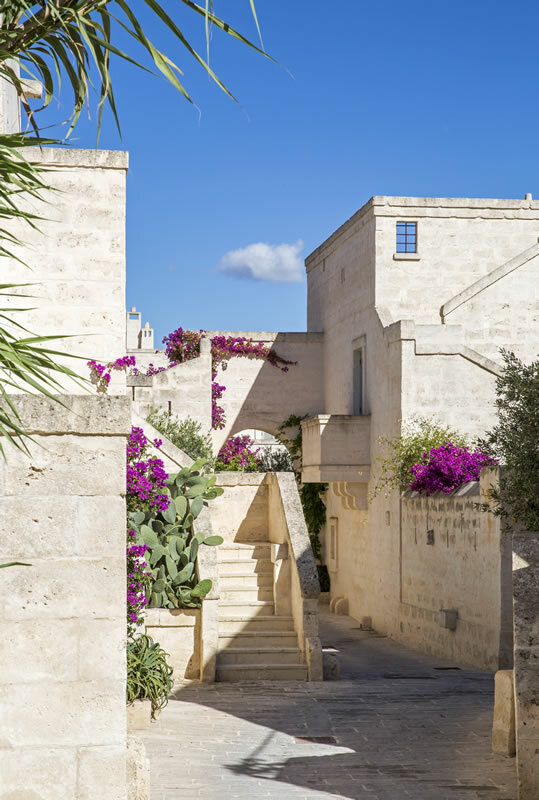 First floor: 2 master bedrooms with a soft gauze canopy bed and 2 double rooms with related spacious bathrooms made of Ostuni stone. Lower level: 3 bedrooms with private bathrooms made of Ostuni stone; basement area with game or lunch table; corner bar and a comfortable living area with cinema screen and home theatre system, including DVD and connectivity panel for projecting onto the TV via cable or Bluetooth; relaxation area with a fireplace. You can access the garden and pool directly from the lower floor. 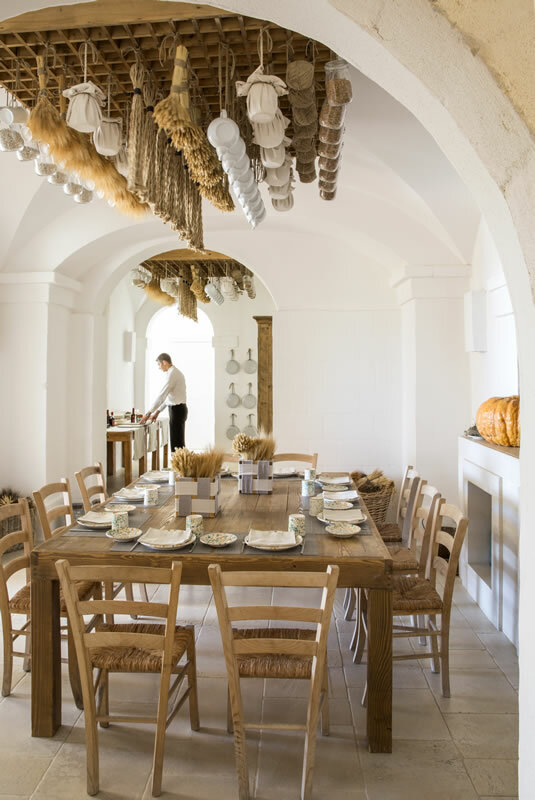 The décor of the Owner’s Villa has been made, like the tuff stone lamps, by local artisans and the objects are inspired by the region and tell the story of the bond with traditions. 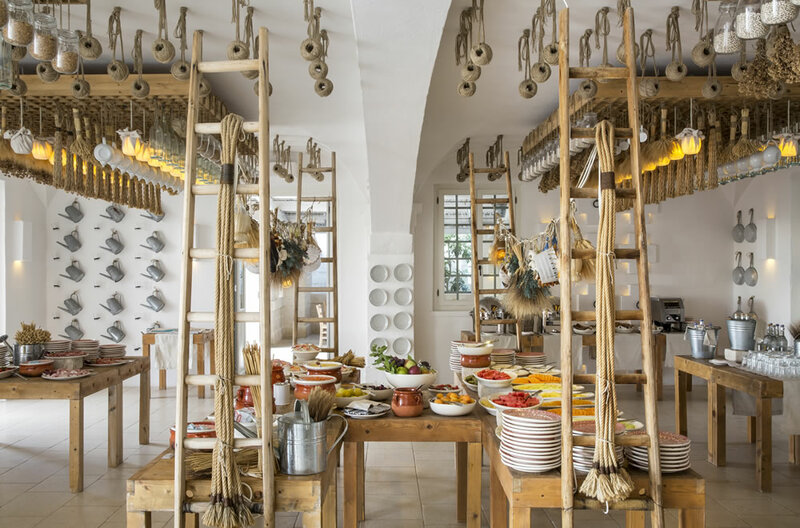 For an additional charge, the guests at the Owner’s Villa can also enjoy exclusive services, such as a private chef, golf cart and bicycles among others. All details, including information and prices, are available upon request and at the owner’s discretion. 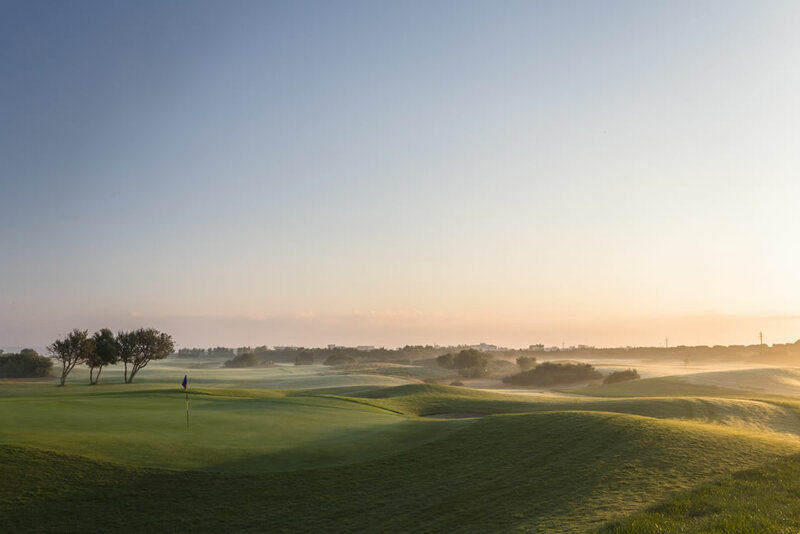 Cancellations between the thirtieth and the eighth day before arrival will result in a penalty of 25% of the booking fee. 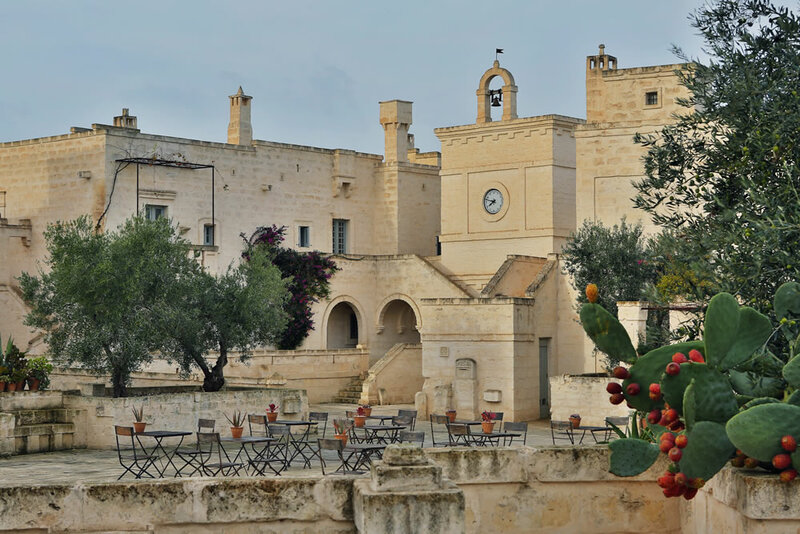 This sum with be withheld from the amount paid to Discovery Puglia as confirmation deposit. 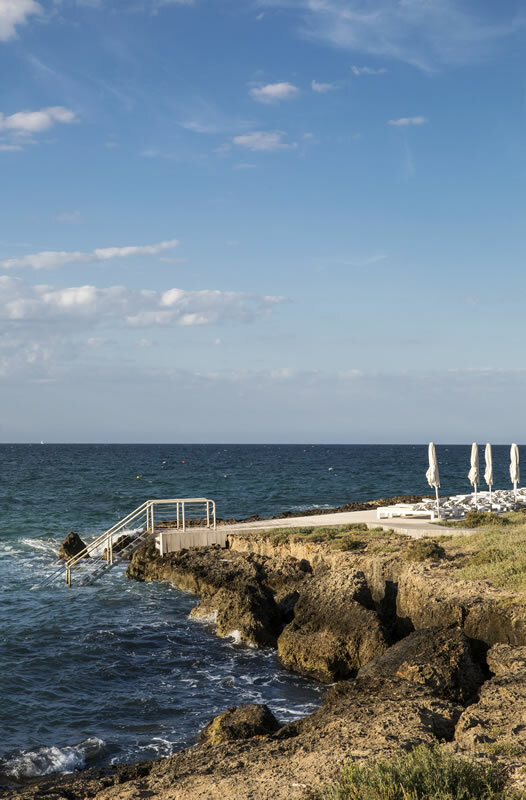 For cancellation of bookings during the seven day period before arrival, the penalty, as a flat rate compensation for damages suffered by Discovery Puglia, is 100% of the cost of your booking. This means that no refund of any kind will be made. 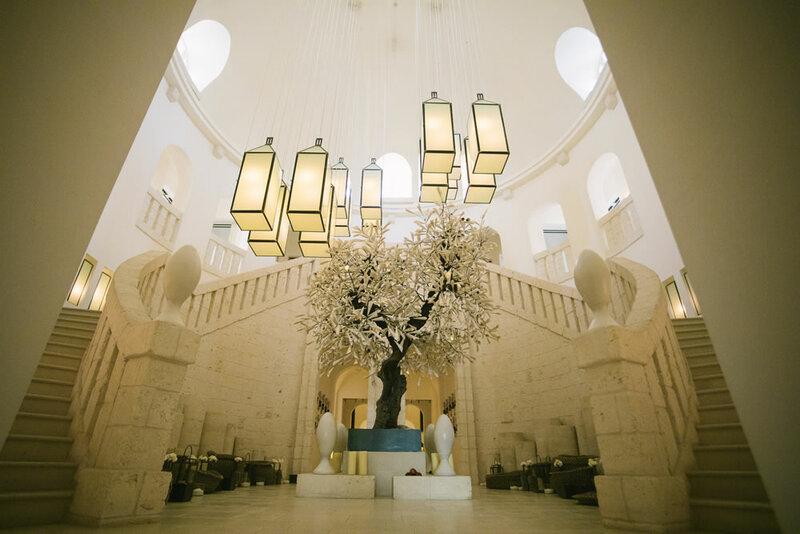 The sum owing as penalty will be withheld from the amount held by Discovery Puglia as booking fee. b) 75% left of the total amount has to be paid 30 days before the first day of the stay. Failure to pay the balance of the booking fee within the established period of 30 days will signify cancellation of the booking on the thirtieth day before the arrival date, and will give rise to application of a penalty equal to 25% of the booking deposit. 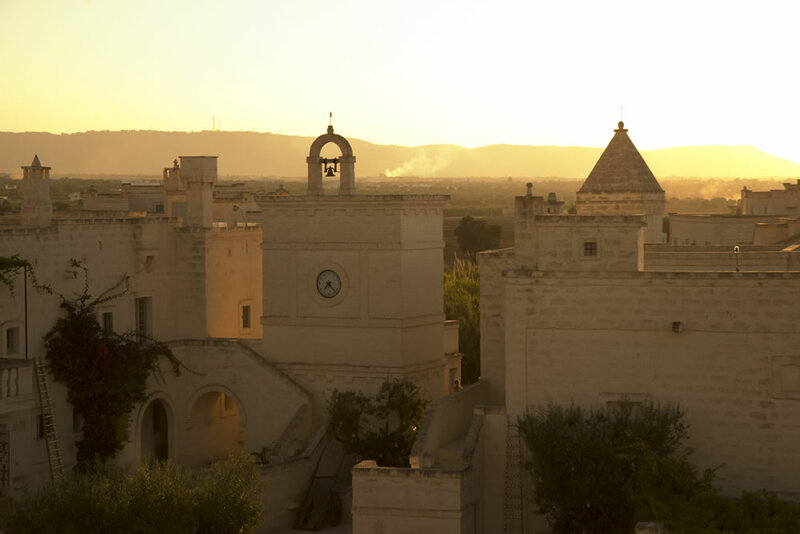 This sum will be obtained from the amount paid as confirmation deposit to Discovery Puglia. 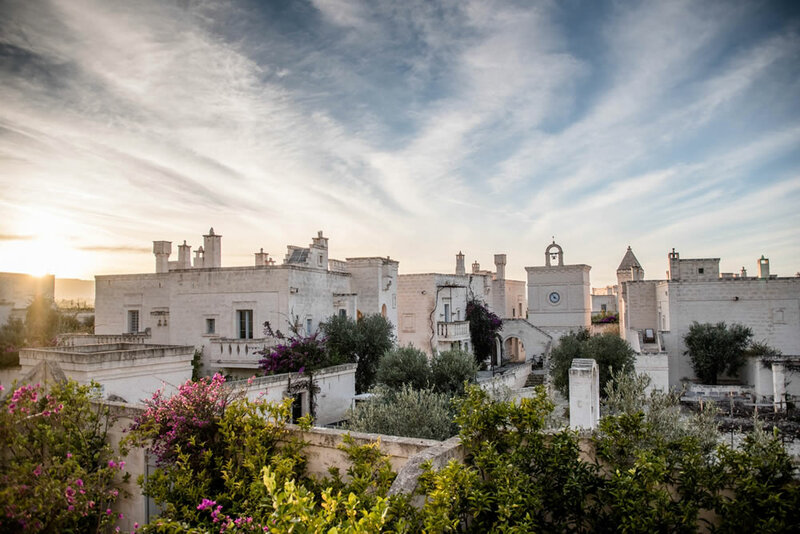 The confirmation deposit will remain in escrow to Discovery Puglia until the end of the stay, and then it will be totally attributed for the entire due payment of the guest. Failure to pay the balance of the booking fee within the established period will signify cancellation of the booking on the 30th day before the arrival date, and will give rise to application of a penalty equal to 25% of the booking deposit. 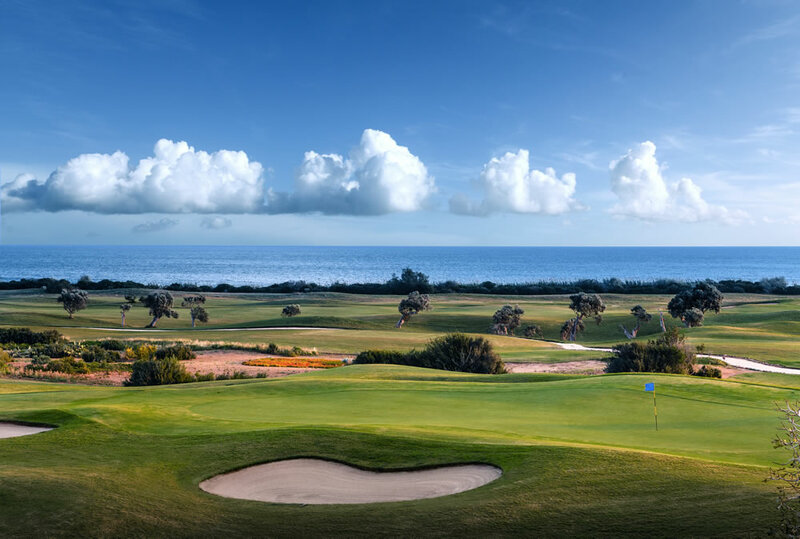 Cancellations between the thirtieth and the eighth day before arrival will result in a penalty of 25% of the booking fee. 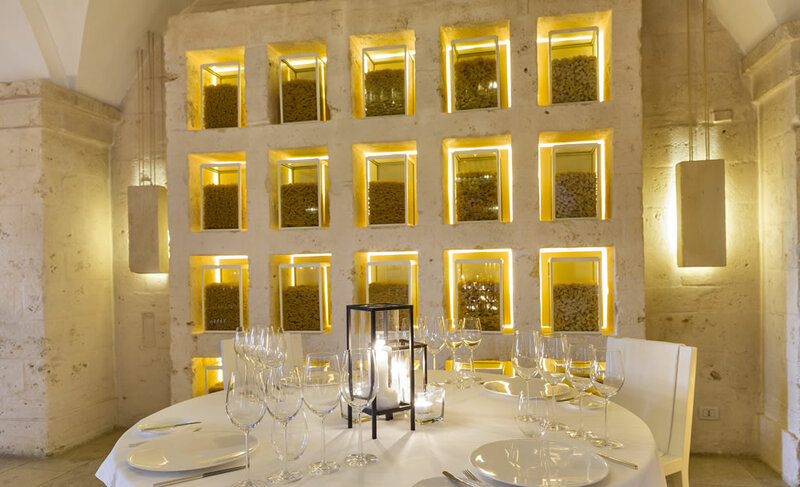 This sum with be withheld from the amount paid to Discovery Puglia as confirmation deposit. - For reservations beyond the 3 nights: the penalty is 50% of the total amount of the reservation. 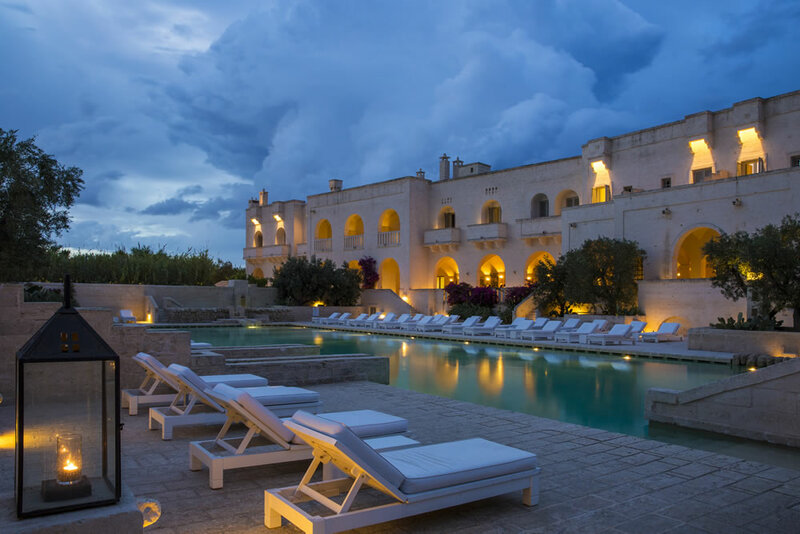 The amount will be withheld from the sum paid to Discovery Puglia as confirmation deposit. For guests who fail to arrive on their established arrival date and for early departures, i.e. 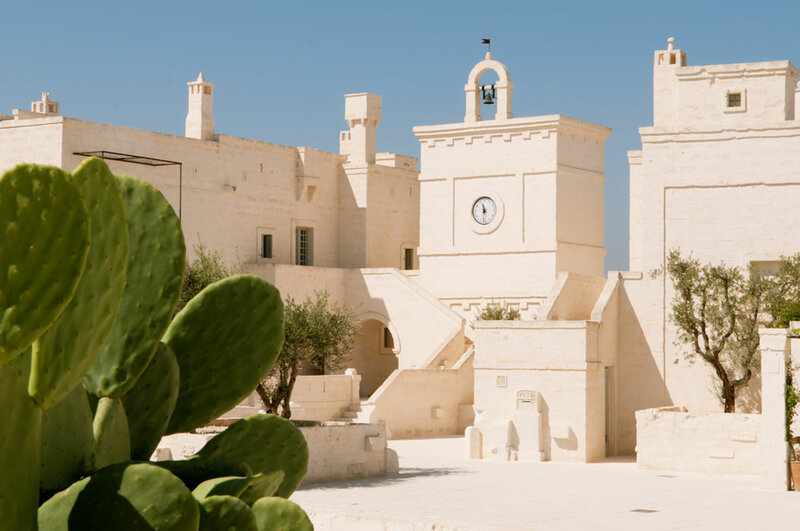 before the established date, Discovery Puglia reserves the right to apply a penalty covering the full amount of the stay. This means that no refund of any kind will be made. 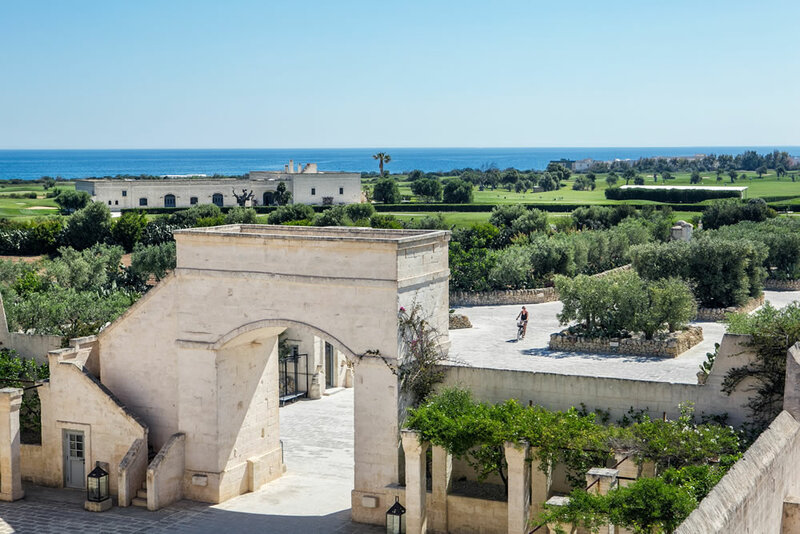 The sum owing as penalty will be withheld from the amount held by Discovery Puglia as booking fee. 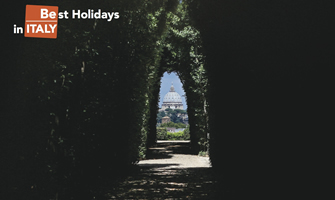 This cancellation policy could be subjected to variation during festivities. 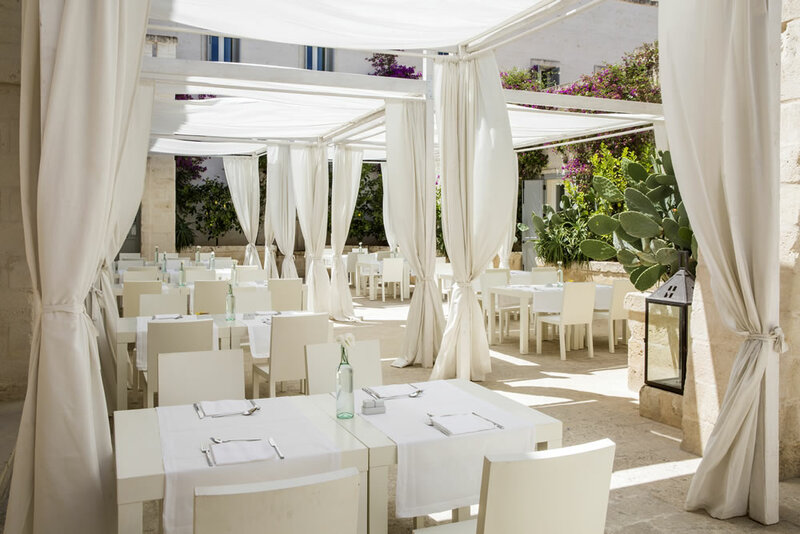 Discovery Puglia has the right to change cancellation policies when a reservation is made outside the time limits indicated in the above articles. 5. Check- in / out: Rooms assigned on the arrival date at 3 pm, have to be released within 11 am on the departure date 6. 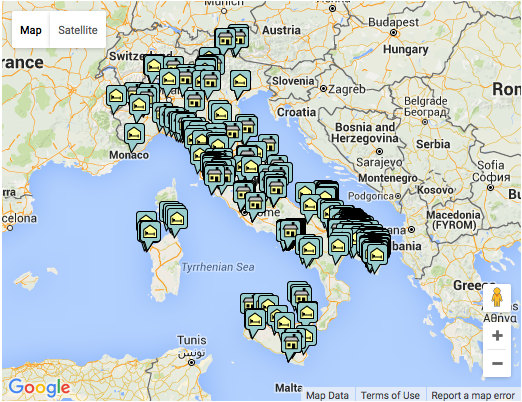 Rates:Rates are in euro per person, per day, bed and breakfast accommodation. Lunch and dinner are excluded. Rates include services, 10% VAT.